The San Pedro Business Association (SPBA) has started preparations for the 2014 Holiday Lighted Boat Parade. In 2013, due to lack of community support and boats participating, the annual event was canceled. 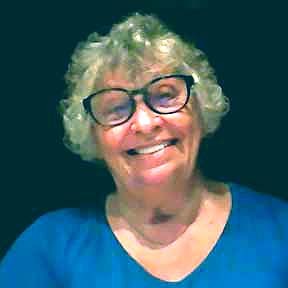 The boat parade is iconic to the island, however, and as such, the SPBA is hoping to garner sufficient interest and support to carry out the event this year. With the official date set for December 6th, the boat parade is set to follow the same route as previous years. Beautifully lit boats will take off from the Boca del Rio Area, moving southwards to Caribbean Villas the turning back to Central Park. During the boat parade, events will also be simultaneously taking place in Central Park. There will be several booths available for the sale of food, drinks and gift items. As well, SPBA is planning on having a Christmas Carol Competition for the primary schools in the island. A minimum of 12 boats are necessary to carry out the Holiday Lighted Boat Parade. Registration is open to both residents and businesses. Sponsors for prizes, trophies and decorations are also welcomed. Participating boats can also charge a fee for guests that would like to ride along in the parade. This year The San Pedro Sun has opted to give our Caribbean Christmas Colors Contest a hiatus, and as disappointing as this may be, we’ve decided the lack of the annual Holiday Lighted Boat Parade last year was far more disappointing. We are instead committing all of our holiday energy into helping the San Pedro Business Association make sure this beautiful, signature island event continues. This gorgeous flotilla of sparkling boats is not only enjoyed by the entire community but has become a destination event for many tourists abroad. Despite the financial benefits the island may see from attracting tourists to this event, to me it is ultimately about kicking off the holiday season island style and as a community sharing an evening of holiday spirit and camaraderie. People have been decorating their homes for the holiday’s decades before there was any sort of contest to applaud their efforts, and we should embrace that same holiday spirit when it comes to participating in the boat parade. It is all in the spirit of the holiday that we adorn our homes (and boats)…not about the prize. For those who do not have a boat why not organize your friends and find someone who does? Why not make is a neighborhood project, a church project, a special interest project or just a group of good friends? If you need funding to help with purchasing lights why not approach one of your favorite businesses to sponsor you, and if you want to offset expenses why not ask for a $20 donation from those who want to join you on the boat? There are many decorating ideas that don’t have to cost a fortune and we outline some of those ideas in this week’s issue. I so agree. The 2nd year the North Ambergris Caye Neighborhood Watch entered and it was a lot of fun; and we won a prize too. When Jan first came up with this idea the date was picked so that people could use their existing decorations before putting them up on their buildings. The prizes are worth the effort as is the getting together to do the decorating and then riding on the boats. It is just one big party. The only thing I would change is how the prizes are awarded and limit each entry to one prize - of course the top one that they qualified for. Anything goes - just look at some of the pictures from past events. I think my all time favorite was when Sterling draped a bunch of big old fashioned lights all around himself and dance. My group in Northern California put on a gala New Years Eve celebration every year. People all agreed that the day we spent decorating (working our butts off) was as much of a party as was the night. We all met people we had not know previously or had never gotten acquainted with. Since we were all sober (but not necessarily sane)at 1:00 everyone pitched in to clean up and since we didn't want to be on the road with drunks went to a coffee shop for breakfast and continued the party. Come on guys & gals - we can do it! With the 2014 Holiday Lighted Boat Parade quickly approaching, preparations have begun to ensure that this year’s parade is brighter than ever. 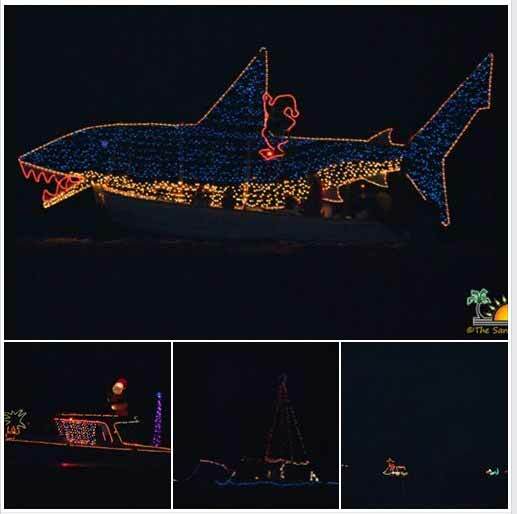 Scheduled for Saturday, December 6th, lighted boats will illuminate the night as they make their way from the Boca del Rio Area, moving southwards to Caribbean Villas then turning back to Central Park. If you have entered your boat but aren’t quite yet sure how to decorate it, or are looking for fun ideas, here are a couple easy tips to get you started. • A cup of Christmas Cheer- Cut 1/4″ plywood in the shape of a cup (and saucer if you want). Paint it white and then outline the figure with white Christmas lights. You can even use a small spot light to illuminate the cup to highlight it. If you can get your hands on a fog machine, run while in the parade. If you do two cups-one each side of the boat- you can have someone standing on the sides with a large stick “stirring” the “cup of cheer”. Be sure to play music like “Let it snow” or “Chestnuts roasting on an open fire”, to tie in the whole image. • A Sailboat Christmas tree- This is an easy one. Just run lines to the top of the mast and secure in a circle below. Run multi colored lights down each line. Put a lighted star on top. Create a more cheer atmosphere by having passengers on the boat dressed in seasonal costumes. 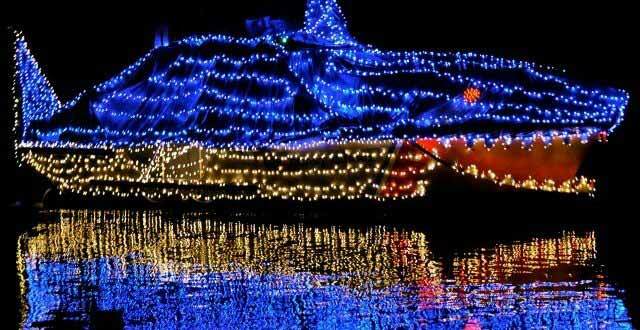 Back by Popular Demand  The San Pedro Holiday Lighted Boat Parade will be held on Saturday, December 6th starting at 6pm til around 9pm. This traditional event introduces the holiday season and brings us into the holiday mood with a fun event filled with twinkling lights, children’s laughter, and Christmas carols. 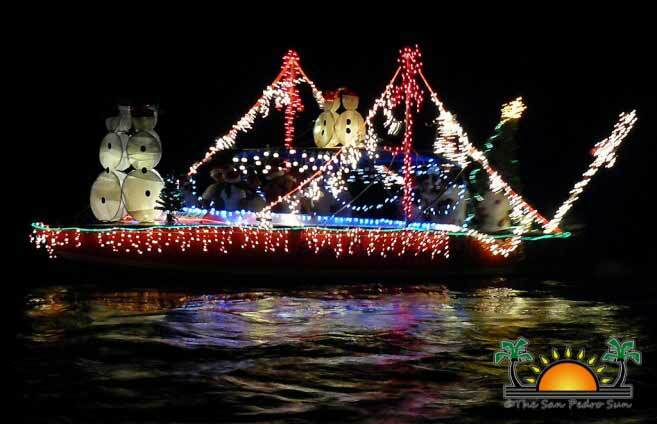 The dazzling boat parade will start at 6pm and span from Wayo’s Beachside Bar, Boca Del Rio to Caribbean Villas Hotel. Our community will have amazing views of the festive boats from all over town! Current supporters are: Minister Heredia?s office of the Belize Tourism Board, the San Pedro Town Council, Caribbean Villas Hotel, Wayo?s Beernet, Chuck and Robbie?s Dive Shop, Carlo and Ernie’s Runway Bar, Cholo’s Beach Bar, QuickSilver Messaging Service, Sandy Toes Beach Bar, Estelle?s by the Sea, Caye Management, Seaside Real Estate, Sunrise Realty, San Pedro Sun and Reef TV. Last edited by Marty; 11/27/14 04:37 AM. The traditional lighted boat parade will be held this saturday night, December 6th! Starting at 6pm the parade will leave Wayo's in Boca Del Rio and begin its voyage south to Caribbean Villas. The parade will then turn around and assemble in front of Central Park. There will be a block party at Central Park starting at 6pm also. Food and drink sales, photos with Santa, a Christmas Carols competition and more will be there for your entertainment pleasure. Bring your family and friends out to enjoy the fun. Last night was one of my favorite events of the year…a DO-NOT-MISS-EVENT. The San Pedro Christmas Lighted Boat Parade. An annual event…we hope. The last one was in 2012 and it was fantastic. Beyond great. 2013 was cancelled due to lack of participation. But this year, it was back! With so many people congregating in San Pedro’s Central Park. So let’s get to the parade. My tech-partner Chris took some great shots. And a few friends are sending them this morning. So here is the San Pedro Lighted Boat Parade. A full moon and 8 boats I hear…beautiful. 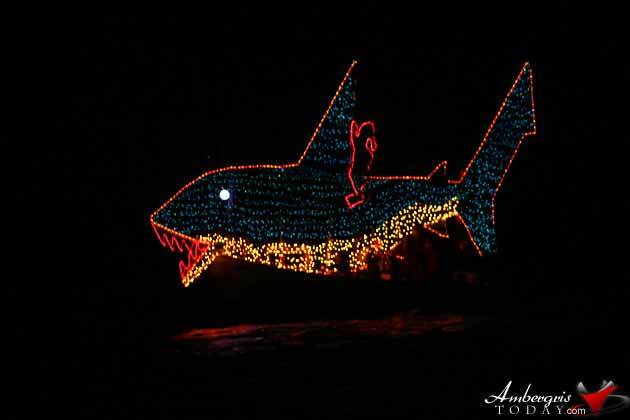 Santa Claus riding a GIANT Shark floating across the moonlit sea caught the eyes of everyone who went out to watch the eight annual San Pedro Holiday Lighted Boat Parade that took place on Saturday, December 6, 2014. That, plus a handful of boat entries, lit up the dark horizon and delighted spectators of all ages on a magical evening. 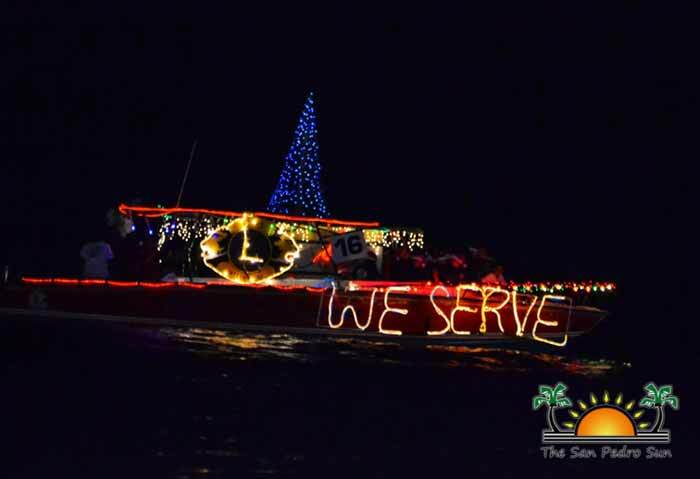 After a hiatus last year, the Lighted Boat Parade was organized once again this year, and solidified its ranking as a top tourist (and local) event in San Pedro, Ambergris Caye, Belize. The event attracted hundreds to gather at various viewing hot spots, with local restaurants and bars offering special menus and cocktails to their customers. The parade started shortly after 6PM from Wayo’s Beachside Beernet. All ten boats lined up, shining brightly on the water as they started to make their way south along the designated route. Spectators enjoyed the view, taking in the fun details on the boats. There came a bull shark! There went a sea serpent! At the municipal dock, the boats made a 360 turn, allowing the judges to take a closer look before tallying their votes (although frankly, they were all winners!). The parade then made its way down to Caribbean Villas before returning for the grand finale at Central Park, it was time for family fun, with lots to eat, drink and even shop! Children had the chance to take their picture with Santa Claus at the Saga Humane Society booth, which was great fun. After all the excitement, it was time to announce the winners of the parade. Taking the first place prize was Blue Water Grill. Second place went to Isla Bonita Elementary, while The Phoenix Resort took third place. The San Pedro Lions Club was the proud recipient of the Minister’s Trophy and the San Pedro Red Cross took home the Mayor’s Trophy. Certificates of participation as well as great prizes were awarded to every single vessel.